Home > Light Duty V Belts > FHP V Belts. 2L through 5L Sections... > 3L Light Duty V-Belts (FHP) 3L Sections - CLICK HERE! > 3L315 FHP V-Belt. Lawn and Garden Brand. 3L315 FHP V-Belt. Lawn and Garden Brand. 3/8" W x 31.5" Length. Standard Duty FHP construction. Gates Truflex 1315, Gates Special Application Belt 6393 (9.5mm x 800mm). 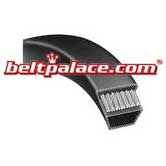 MTD 954-0142, 754-0142 belts. MTD 510-599 series edgers, years 1987-2003.